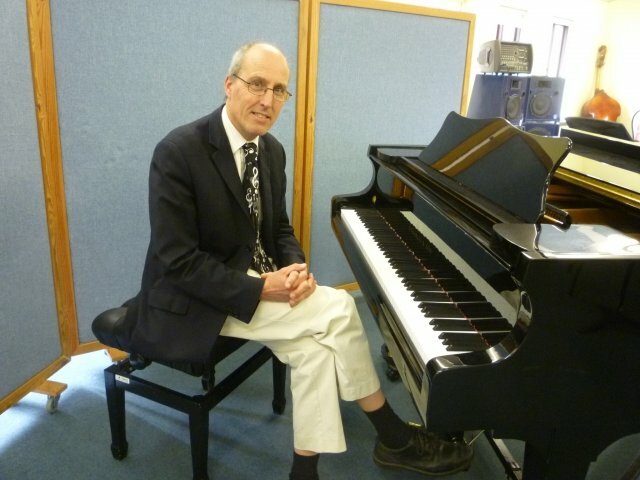 My piano teaching career, alongside my music education career began in the mid 80’s after studying at the Royal College of Music, London. I have a diploma from the College in piano teaching, and the equivalent of a diploma in piano performing as part of my degree course. I am currently working in music education and take a few private pupils at home. I have taught the piano to over 250 children, specialising in the 7-13 age range and teaching many from scratch. I conservatively estimate I have given over 24,000 lessons! I believe the study of music teaches us a particular understanding of the self, as well as providing a unique form of expression, discovery, communication and enrichment to our lives. I also believe it has far-reaching and deep educational values, regardless of whether it is continued through life. I remain open in my teaching to the pupil's interests, and have made many of my own piano arrangements to this end. I would however stress the importance of structured study at the beginning in particular, and the development of proper technique and reading ability. I try to maintain a positive and lively approach – if it’s fun for me, then hopefully for your child also! I do however like my pupils to be mindful that taking on any long and meaningful journey means taking on the lows with the highs. Achievement, progress, enjoyment and fulfilment will inevitably result through study and practice.